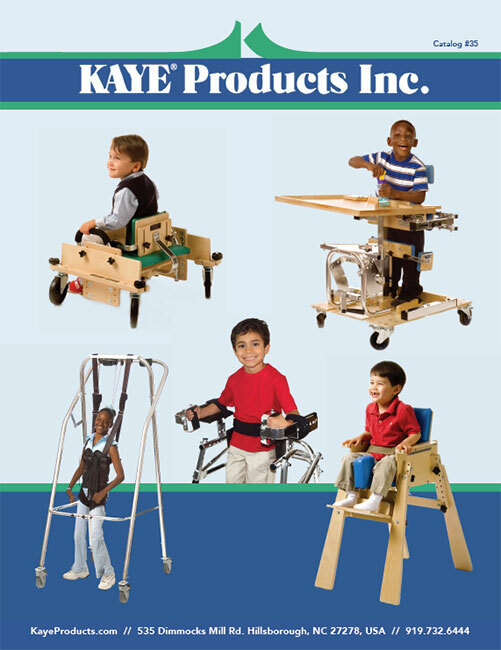 These are designed for children who need a wide base of support in order to achieve good pelvic position, lower extremity position, and trunk alignment for stable sitting. Two sizes are available, large and small. Optional tray with chest-support cushions. 5.5″ W x 6.5″ H front cushion. For users 5-11 years, up to 48″ tall. Removable desk, tilts, is depth adjustable, 25″ W x 30″ D.
Bolster is 23″ L x 10″ W.
Removable foot supports adjust front to rear. Back extends 10″ above seat. Removable back extension adds 11″ to height of back. Optional 4″, locking, swivel casters. Optional tray with front and side chest supports. 6″ W x 8″ H front cushion.